Feel free to come look around! There’s so much to see! If you are a landscape designer, idea gatherer, interior designer, contractor, treasure hunter, gardener, antique lover, shopper or none of the above, you’ll love Fran’s. We have three buildings with everything from antiques to eclectic and one-of-a-kind items from the Dallas Trade Center. There is an item here from $1 to $3,000. Inexpensive to custom handcrafted crosses with beautiful detail, metal baskets, wall baskets, garden sculptures, furniture and jewelry are just a few of the items you’ll find here. Fran’s on 59 is the perfect place to find something special for your home or a gift for that hard-to-buy-for person. Flagstone – Patios and walkways. Ledgestone – Retaining walls outlining flowerbeds, fireplaces, outdoor kitchens and more. Creek Rock – Fireplaces and dry creek beds. Boulders (from 15 lbs. to 2 Tons) - Accents for flowerbeds and yards. Perfect for sitting on. Some table size. Beach Pebbles - Black (Mexican), green or white & multicolored. Dry creek beds and accent pieces. East West Stone – (6” x 24” x 1”) Natural ledge panels. Outdoor kitchens and fireplaces. Poultry litter also known as turkey poop is a multi-purpose fertilizer. This dry product replaces buying multiple products. Applies easily for use on vegetable plants, shrubs. flowers, lawns and palm trees without fear of burning your plant life. In stock available in 50 lbs. bags. Each pot is handpicked at market. We do not buy containers. 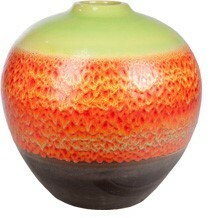 Our pottery selection is high-end, frost-proof and can easily be drilled through and made into a fountain. A variety of finishes are available and everything you need to make your pottery into a fountain can also be purchased. There is always pottery on sale. Metal edging is a lasting, professional edging solution for residential and commercial landscape projects. Gator Dust is a mixture of polymer binders and calibrated crushed stone perfect for patios, walkways and pool decks and is effective on flat or sloped surfaces. Select from beige or grey. We serve local customers in Foley, Magnolia Springs, Daphne, Fairhope, Elberta, Gulf Shores, Orange Beach, Perdido Beach, Pensacola, Silverhill, Loxley, Mobile, Lillian and visitors from all over the United States. Pond Supplier: Gulf Coast Aquascape is a local pond deigner featured at Fran’s on 59. Fran's on 59 is a collection site for dog food and supplies in support of All About Dogs, a non-profit rescue and adoption organization.